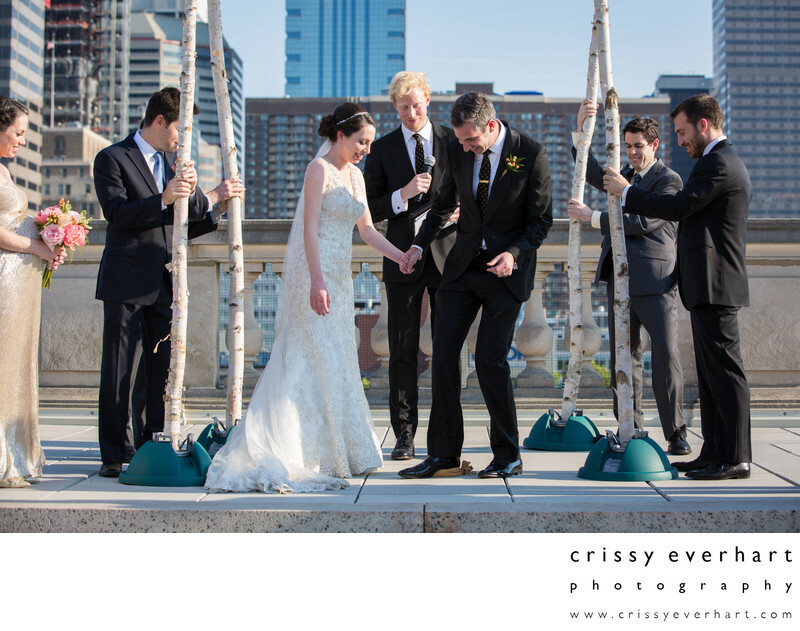 The groom breaks the glass in this Jewish wedding ceremony on the roof top of the Free Library of Philadelphia's Parkway Central Library. Friends hold up the huppah as the couple break the glass (often a light bulb) in honor of their new marriage. "Just as the broken glass can never be put back together, these two shall never part."